Conversations from Yemen: When your prayers are answered. This is a simple story recounted to me this morning by a friend in Yemen. A simple story but one that reduced me to tears as it so aptly exemplified the futility of war, violence, hate and any desire for revenge. I have removed names so as to protect the protagonists. My reasons for doing this should be evident as you read the story. A pro Mansour Hadi/Saudi regime employee was working at an engineering company in Hadramaut province to the east of Sanaa. Despite working with predominantly pro Resistance colleagues, this man was vociferous in his support of the Saudi regime and many times complaints were submitted to the company HR department in an attempt to silence his provocative outbursts. Eventually he was instructed to keep his opinions to himself during work hours. 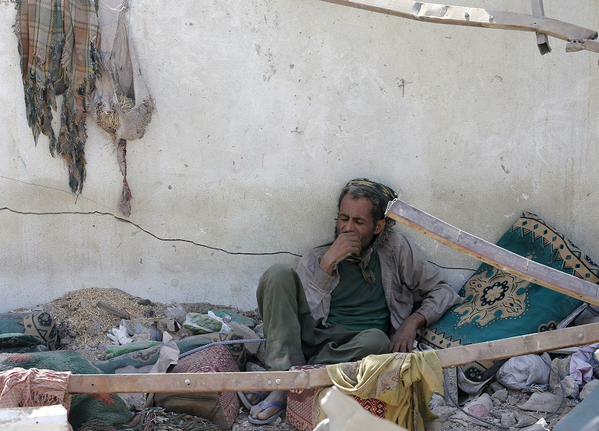 During one Saudi raid on Sanaa, a missile base was targeted and this man’s house was slightly damaged by the blast. However this did not prevent his fervent prayers for the Saudi coalition victory over his work colleagues. “May Allah guide their missiles to their target” was his consistent invocation. After this first attack on the missile base, he moved out of his house for a week or so until the targeting of the missile base seemed to come to an end. Then he returned home one morning, the afternoon of the same day the Sauds attacked the missile base again and with greater intensity. This time, he evacuated his family lock, stock and barrel and moved them to his father’s house in a nearby street. His prayers never ceased, despite the torrential bombing of his city and his neighbours, he did not stop praying that the Saudis would be successful in hitting their chosen targets. He and his family continued with their daily life, and he continued to pray for the Saudi bombs to obliterate the opposition and for the Saudi oppression of his people to prevail. Then one night the Sauds very “successfully” targeted 4 houses in the same street as his fathers house. The explosion was less than 7 metres away. He, his wife and infant were sleeping in the master bedroom, they were hit by shrapnel but escaped with minor injuries. The room where his children were sleeping took the force of the blast. The roof collapsed down on top of them and they had to be dug out from the rubble that threatened to crush their fragile bodies. It was a miracle they survived. His 10 year old son was rushed to hospital with shrapnel tears to his face and his foot had been horribly crushed by the rubble. When doctors saw the extent of the damage they recommended immediate amputation of the shattered foot. 2 days later, in a state of shock, the man travelled to Jordan with his family in the hope of receiving post trauma treatment there for his little boy. Along the route they were stopped at a Saudi checkpoint. He was questioned by the Saudi soldiers, “how could a missile have hit your house?” His response was ” I should surely be asking you that question!”. The apparently incredulous soldiers then invited him into Saudi Arabia for medical treatment. The man was horrified, “why should I trust you now, after you even target me, a loyal defender of the House of Saud”. 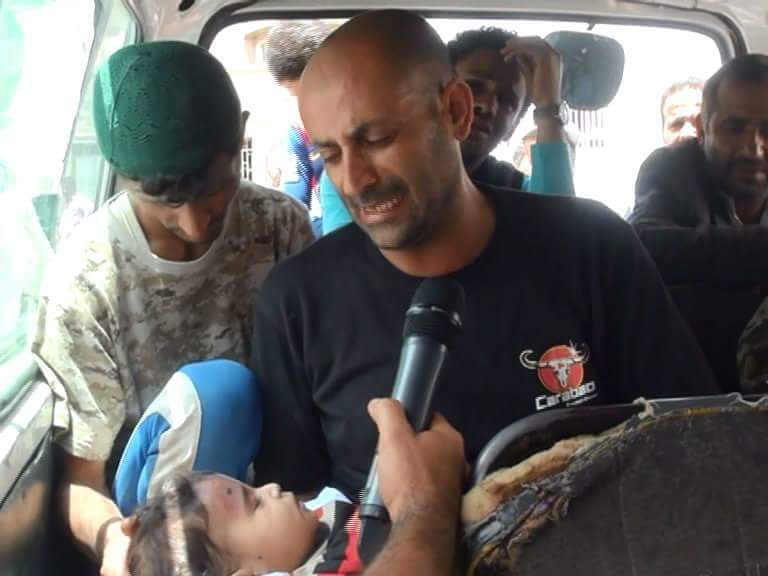 September 29, 2015 in Yemen.